Protecting ourselves is a human instinct. The brain provides for the fight or flight response that was so needed back when men lived in caves and needed protection from wildlife. The human species has been evolving as part of the animal kingdom. Scientists study behaviors in animals that have adapted to new environmental changes around them, some good and some horrible and everything in between. A simple example is watching birds that live around us decide whether they will perch and possibly nest on a tree branch, a post, an electric line, or even on our lawn chair sitting near by. What about people? How are we adapting to environmental changes? For today I’d like to broaden our definition of “environmental changes”. We immediately think of the plant and animal wildlife around us that we live in. In our lifetime, we certainly have seen the plant life changes graphically on nature programs. But, what about the part of our environment that is not seen? Take a few minutes and just stand in an open space where you are reading this blog. Stand, but do not close your eyes for three minutes…come on, don’t shorten it. Look around you, observe your body to see and feel if you get any signals. Hearing something might trigger a reaction, take note of what you saw or felt. Besides man made objects, what did you see, what did you feel, what did you sense? What is in that empty space around you? Most of you would answer, air. And of course that is correct. How many of you answered constantly moving energy? Now I realize that all of you are so intelligent that of course you knew right away I wanted you to SEE, FEEL, or SENSE your energy field. Did you? I’d love to hear your experiences! Some people have the gift to be able see energy. For a long time that was a taboo subject to talk about, thinking anyone talking about seeing energy around a person, animal or plant was nuts, or had mystical powers, which were associated with something negative. The truth is that someday all humans will have developed the ability to see energy and the trait will pass on to future generations! 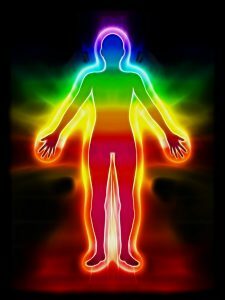 Seeing the colors of an energy field is becoming more common in children and scientists are finally validating that it is possible to see an energy field around people. So, challenge your thinking and open your mind to what medical advances could come about if we research, study and learn from this phenomenon. I’d like to say I see energy. I have learned how to see “a little” energy around hands & around a head and neck through exercises shared in Where Two Worlds Meet by Janet Nohavec with Suzanne Giesemann. 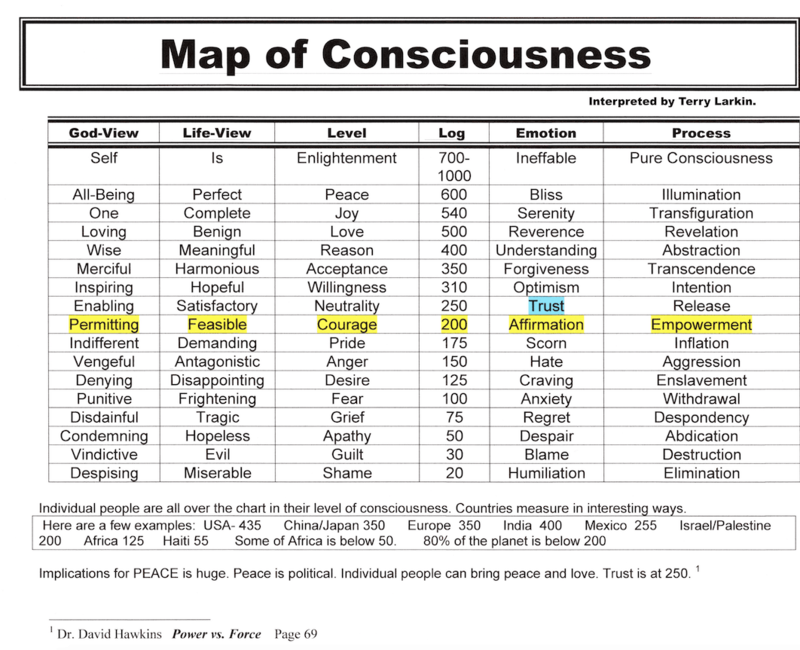 ( P. 49 – 55, chapter 6 on Auras & Color Analysis) But I see a whispy grayish~white light… I see no colors. I would need to work hard at developing the skill, and perhaps it’s not to happen during this lifetime. But, I have no doubt it can be done. THINK: When the flow of energy is interrupted it is usually a sign that dis-ease has moved into the space. IMAGINE: If mankind developed a way to “see” this…we would know where to make changes, perhaps even identify cancers in their earliest stages. REALIZE: Our top universities started this research quite awhile ago! Can we protect our body’s energy field? YES! Many more people have the gift to be able to feel energy. I hope you were able to feel some of the energy around you because once you recognize it is really there, you WILL feel it! This skill is one of the changes in human evolution that is happening at a very rapid rate now. Once the skill is developed you can not only feel the energy around you, you can identify what kind of energy is there. Is it positive or negative, or is it stuck? I was somehow given the gift to feel energy back during my NDE and I have developed that to a much higher level. 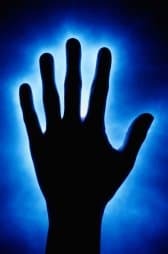 We can move and change energy around and through our bodies…our hands are especially powerful. I realize now that if I could turn back the clock and develop this skill when I first recognized it, I could have helped so many more people! All of my experiences with lights and electronics that I spoke of in our book, The Light GAP: God’s Amazing Presence were all examples of feeling energy and changing “matter” with it !! Yes, my NDE did provide a kick start, but I developed it, worked on it, researched why it was happening, and worked together with Marj to realize we BOTH had been acted on through LIGHT and LOVE to change “matter”. Marj was feeling the change in her spiritual and emotional energy right away! I experienced feeling the change in energy through physical healing…back in 1982 and again in 2008, and now in a new way, Reconnective Healing has helped me solidify my own reality through a knowing from long ago. LOVE, LIGHT, and INFORMATION. Now I can say without a doubt the energy is VERY REAL and VERY POWERFUL. By becoming the frequencies of love, I send healing to another person, bring healing back to myself, and together we change matter. And, the most important part of ALL of this is that YOU are just as powerful as I am! I am not unique…I’m human and spirit, just like you! And we are connected through ONE energy field. 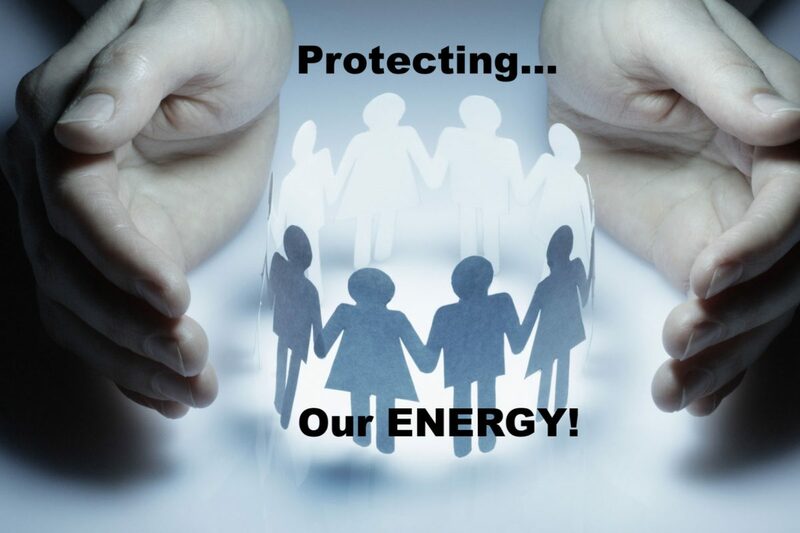 So, how can we protect our energy field? Answer: “Remember” that our “environment” effects that field! Please think about that statement. It is THAT simple! The energy field in and around you is totally effected by your environment. What type of environment are you in? Is it loving? Is it filled with compassion and gratitude? Is it filled with fun that brings joy along with a peaceful existence? Are you filled with self love as well as love for others? Are you practicing love every day so you can say “I’m better than I was yesterday.” We all have the ability to shift the energy in our environment by our presence. Our mind has the ability to change our own vibrational level effecting the environment. When the environment has a low vibration…send it LOVE and LIGHT to change it! When it’s hard to change, get help! We are here on this planet to help and support one another. Do you let the love come into you? Do you allow others to help you? I just picked up a book Marj and I read a long time ago. I see Marj wrote in my copy of the book back in 2002, “Great Reading, aren’t we having fun learning about life!” Now it is 17 years later. Not long in the scope of things, but we recognize our ever expanding journey. We shared this book in our stories from The Light GAP, but it is STILL a classic! Power Vs. Force by David R. Hawkins, M.D. 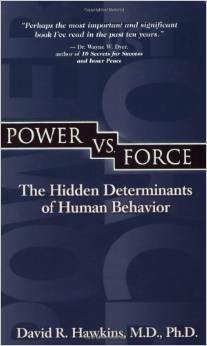 Ph.D, a human being with extraordinary insights into human behavior and the effect on our human body! He taught us about levels of energy with his Map of Consciousness in this book. It’s worth re-visiting. 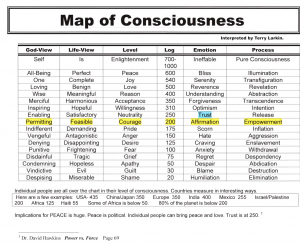 Take a look at emotions and how they calibrated in vibrational level. Click on the picture and it can be viewed so you can read it. While he died in 2012, his life’s work will live on! We go back to classics in every genre for a reason. In fact we go back thousands of years for a reason. The words had meaning for those living then…and they live on now due to truths they exemplify about life in a Universe that is ever expanding! Through love and light we both send you the frequency of LOVE! ← Healing is OPENING a Door… LIFE moves in!